The Matilda Collection was primarily designed to be a practical and usable way to elevate greenery in small spaces. The final design with clean cut lines has created an unmistakably striking plant stand ready for your home or office. Designed in Sydney Australia, the Matilda Collection is made from 6mm square solid metal frame with powder coated finish. Ideal to complement indoor or outdoor decor. 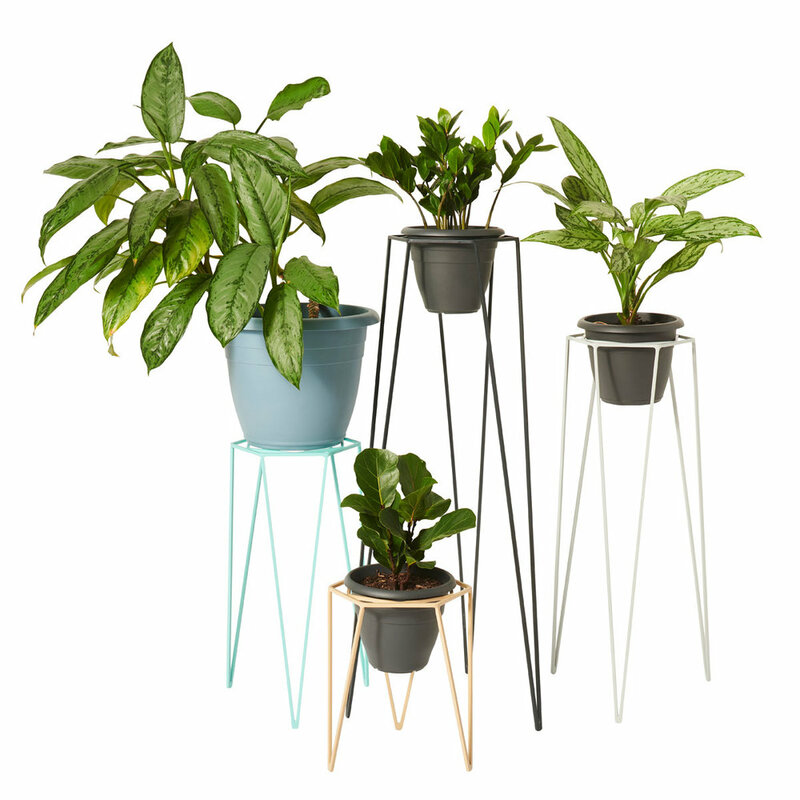 With four (4) different heights to choose from these plants stands tailor to your available space. All of the Matilda Collection stands offer a generous 170mm diameter aperture. This allows use of standard pot sizes. Sturdy and versatile, the Matilda Collection plant stands can allow a much larger pot to sit on top of the stands instead of inside. Made from 6mm solid iron square bar the Matilda Collection is designed with strength & sturdiness in mind. With minimal effort these stands can hold up to twenty (20) kilograms.